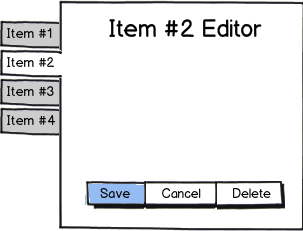 graphical user interface design – Removal: Do you require double click instead of confirmation? The usual idea is to present the confirmation modes or allow the cancellation. My idea of ​​avoiding accidental destructive actions is a bit different: It requires clicking the Delete button twice for the action to be effective. If the user clicks on the Delete button once and does not see any effect, then there is no problem, they are likely to do it again. I suppose this should work even without any message; However, to avoid unpleasant surprises of the "WTF type, the application does not respond" it seems reasonable to place a non-obstructive message under the Delete button in the lines "Click again to confirm. 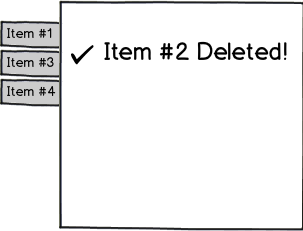 "Or maybe just re-label the"Delete" to "Delete (1/2)"or something like that. Once the user has become accustomed to the pattern, he will know that to eliminate things he must click twice. 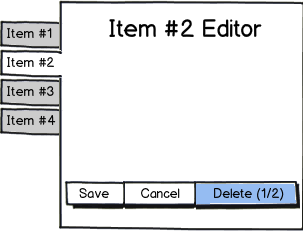 Double-clicking is not a big burden for the user, but you should make sure that each click on the Delete button is intentional: after all, every other click will be a single click. Does this contain water? It's worth a try? Or is it a silly idea, but I do not see why? Previous Previous post: macos: Force Mail.app to use a certain email account for certain recipients? Next Next post: Why do Americans tend to prefer US lodging companies?